When people think of the biggest cities in Canada, they often think of the iconic features of their downtowns – the CN Tower in Toronto, the Farine Five Roses sign in Montréal, Stanley Park in Vancouver. But the vast majority of population growth in Canada’s large urban areas is still occurring in their suburbs. 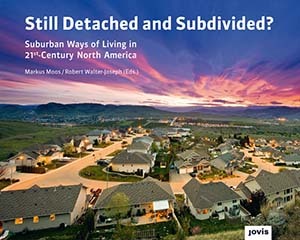 It is these areas that urban planners Markus Moos and Robert Walter-Joseph have spent years focused on, through research projects like the Atlas of Suburbanisms and their most recent book Still Detached and Subdivided? 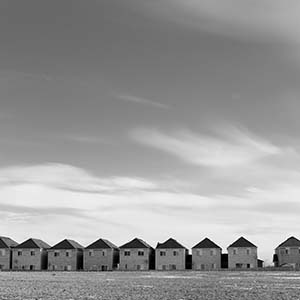 It aims to move past the simple notion that suburbs are simply subdivisions in need of urbanization, taking into account their unique challenges and lifestyles. 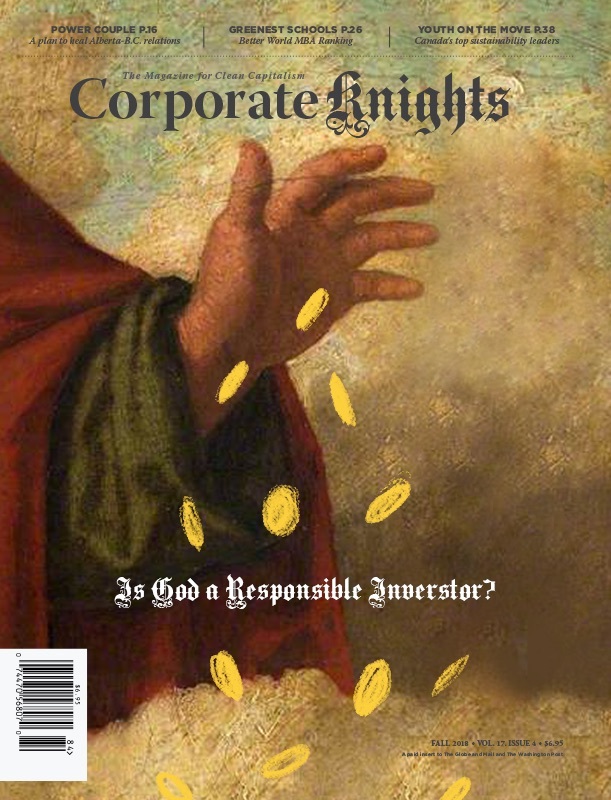 Corporate Knights recently sat down with Moos to discuss the non-homogeneous nature of Canada’s suburbs, why the current model of growth needs to be adjusted and some promising projects currently in the works. CK: The news is filled with stories about explosive growth in downtown cores across Canada. Is this really the case? Moos: In the book, we map out where growth is happening in major Canadian and U.S. metropolitan areas and found that the vast majority is happening at two opposite ends: downtown, but also at the suburban fringe. It’s this latter group where you see the highest growth rates, but also the most absolute growth in terms of the numbers. It’s certainly true that you can see the number of units and the growth increasing in the downtowns, but when you look at the sheer number of people living in suburban areas and also the amount of growth that is happening, it almost gets dwarfed out. Downtown living, in a metropolitan context, is still something of a minority, as opposed to how it is sometimes portrayed. CK: Doesn’t this prove that the suburbs remain a very attractive place to live? Moos: The argument that people are voting with their feet and moving to the suburbs, while an easy argument to make, overlooks several important factors. The reason prices are so high in the downtown areas, or the secondary nodes where transit is available, is because these places are becoming more accessible. It’s where most amenities are within walking distance. A growing number of people want to live there, and this higher demand is pushing up the price. Because most of these central areas are fairly high-priced, many people don’t have a choice but to live in some of these more dispersed areas. One can debate whether that’s a choice or more a decision that they’re making within the context of where the most housing currently exists. Whether that would have been their first choice if they’d had a reasonably priced alternative is actually a question we don’t really know the answer to, because people are making decisions about housing based on what’s on the market. We’ve been quite bad, I’d say, at adding a diversity of housing in walkable, urban environments. There’s a bit of path dependency – you’ve been building low-density housing for a long time, so that’s where people now tend to move to. The housing market isn’t quite as responsive as the market may be for T-shirts or other goods. Now this price discrepancy is exacerbated by the various ways in which we’ve incentivized suburban growth over the past 60 years through both hidden and less hidden policy preferences. Pamela Blais’ book Perverse Cities really nicely outlines the various incentives that are basically working against planning policies that densify and constrain sprawl, such as flat-rate fees for development charges. CK: Your book argues that our common conception of Canada’s suburbs is incomplete. Moos: We tend to think about the suburbs as this sea of low-density single-family homes with white picket fences outside of the downtown, but that’s incomplete for a couple of reasons. There’s long been higher-density and high-rise living in suburban areas. In part, it’s an outcome of housing policy in Canada in the ’60s and ’70s, even a little bit into the ’80s, where a lot of the affordable housing was built in high-rise forms of what are now the older, inner suburbs of Toronto and Montréal. So there’s always been a sort of high-rise form, and a denser form of housing in the suburbs than what people visualize. A new kind of housing diversity is also emerging with a growing emphasis on creating what planners call nodes and corridors, where you try to create secondary growth centres that are connected by transit. You’re seeing these pockets of high-rise [buildings], now more likely to be market condos, that are growing in parts of the suburbs. Then there’s also a reverse phenomenon, if we’re thinking about suburbs as not just a place but as a way that people live their lives. It’s simplifying it to a certain extent, but the basic attributes of suburban living are the automobile, home ownership and detached homes. Not on the detached front, but at least on the home ownership and automobile front, you see suburban ways of living in some downtown neighbourhoods. CK: What are some of the reasons why the current model of suburban growth is in need of some fixes? Moos: What’s important is that for planners and policymaking in general, we can’t just put forth a model for what our personal preferences may be. Sometimes I feel that that’s a bit of a misperception out there, that planners are promoting urbanization because they like cities. But if we look at the current model of low-density suburbanization, it’s based around the automobile and consuming a large amount of land. The lower density you build, the more dispersed your network of infrastructure becomes and the more expensive it becomes to service. There’s, of course, the big impact of automobile use on air pollution, with smog a big public health concern in many large metropolitan areas. That takes a toll on public health. There’s also the carbon emissions that are contributing to global warming. More car-dependent communities are less walkable and linked to higher incidents of obesity and other health concerns associated with less active lifestyles. CK: How can we reduce the judgmental terms in which this debate often happens? Moos: Part of the solution is just to change how we frame the conversation. If it is city versus suburb, I don’t think it’s going to get us very far. At this time, we have over 70 per cent of the GTHA [Greater Toronto and Hamilton Area] population living in areas that have densities that would fall below a minimum transit service threshold. I would ask myself, what is the objective? Is it urbanization in its own right, or is urbanization a tool to solve other problems like climate change, environmental and health issues? It makes sense to try to solve those, but it seems that urbanization of the suburbs is not going to get us there quick enough. 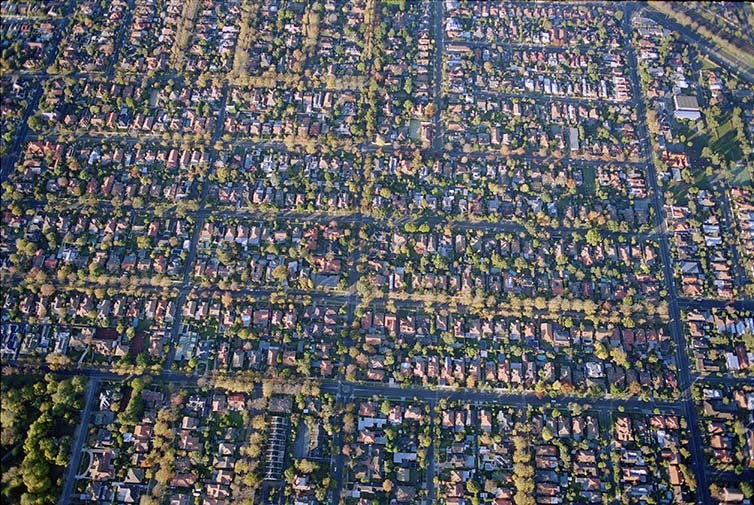 We’re probably going to have to think about other ways to start greening the suburbs and making them healthier as well. Building high-rise towers around transit stations and adding medium density can’t happen fast enough to get a majority of people out of their cars within a time frame to help meet the Paris climate change targets, for example. I think of density and transit-oriented development as necessary but not sufficient. Often, when I make these arguments I get a lot of pushback from the planning communities and urbanist communities, but we’ve got to think about how we can make the suburbs more green and sustainable that doesn’t rely on a fast pace of redevelopment that we’re just not likely to see in some of the low-density suburban neighbourhoods. We’re not going to erase all of the single-family homes that are there, so yes, let’s keep intensification going at as high a rate as we can, but what are we going to do with the rest of the population that is not within reach of those areas? CK: What are some examples of suburban transformations currently underway? Moos: The first thing to point to, if you’re looking at places like New Westminster and Burnaby Metrotown in Vancouver, for instance, you’re basically getting high-rise development around transit in suburban areas. Quite successfully – you’re seeing rises in transit share and growth in the high-density housing stock, and so those are good examples of suburban transformations, I think. But those also aren’t very recent, in terms of the planning that has gone into it over several decades to designate growth centres, invest in the SkyTrain and establish agricultural land reserves that act as a growth boundary. Here in Kitchener [Ontario], there’s an area in the south-west corner of the city that has, over the past couple of years, conducted a very encouraging secondary plan. Instead of planning it for low density because of what’s already around it, they actually mapped out a future node, designated different levels of density within their secondary plan along major arterials and are proposing to transform more of those suburban arterials into more boulevards that have room for all kinds of different transportation users. There is a lot of planning now happening, shaped by the ideas that have now been around for the past 10 or 20 years, that will see the suburb of the future look quite different from what we’re now still seeing be built. It takes decades for current plans to actually be built out. What we’re seeing being built today is the outcome of a planning process several decades ago, while the planning we’re doing now is only looking forward. CK: How does the incredible diversity in Canada’s suburbs play into this? Moos: There are two issues to keep in mind as we discuss intensifying the inner suburbs. Some of the older and inner suburbs have become where a lot of the lower income population has been pushed, because of the heavy gentrification of downtown areas. So if you were going to intensify some of these areas and renew them, how would we do so without jeopardizing the affordability of housing in those areas? You’re going to lose more rental stock – would we lose some of the older housing that remains, at least somewhat, more affordable to some of the newcomers? These current residents are also generally living more sustainable lives because, to a large extent, the amount of driving and our related environmental impact is a function of our income. If they’re the ones being pushed out of those areas through intensification efforts, you’re creating another problem while also undermining some of the population that has already been reliant on transit, walking and cycling. The other issue relates to the ethnic diversity and different generations of immigrants that are making up the suburban areas. It used to be much more the case that immigrants would move into inner city reception or arrival areas, and then build income and wealth over time and then move to the suburbs when they could afford it. And partially due to the changes in Canada’s immigration laws, when we moved to the points system, you also started to get a slightly higher income and certainly better educated/credentialed immigrants who would move straight to the suburbs when they arrived, in the Canadian context. As John Lorinc and others have written about, the suburban strip mall now has the variety that Jane Jacobs used to talk about in the inner city. It’s the lowly strip mall where you’re seeing a variety of stores, where you’re seeing some of that classic entrepreneurial mom and pop shop where people are trying to make a living. Most importantly, it’s where rents are relatively lower than they would be in some of the inner-city areas. How can this flexibility, diversity and entrepreneurial spirit be maintained in the suburbs as they’re retooled?